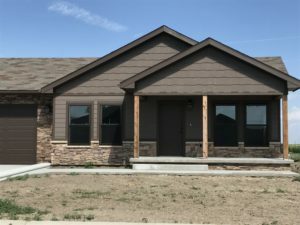 Fifteen new houses have been built, two others rehabilitated and an old motel renovated into studio apartments has made a big difference in several N orthwest Kansas communities. Other multi-housing and senior housing projects are underway. A grant from the Hansen Foundation was one of the funding sources for this large housing project.